The Sony DC-78 is an in-line phantom power supply unit for use with the Sony ECM-88 lavalier microphone. The input end features the Sony SMC 9-4P connection and a standard 3-pin XLR-male output. The power supply is capable of supplying 12V DC to 48V DC phantom power from an external source or 1.5V DC with a standard AA alkaline battery. Box Dimensions (LxWxH) 5.984 x 3.071 x 1.024"
DC78 Battery Power Supply is rated 4.5 out of 5 by 2. Rated 5 out of 5 by Eddie H. from Great product Easy to add in. I can use my 4-pin lavalier microphone connect to standard 3-pin XLR-mlae output. 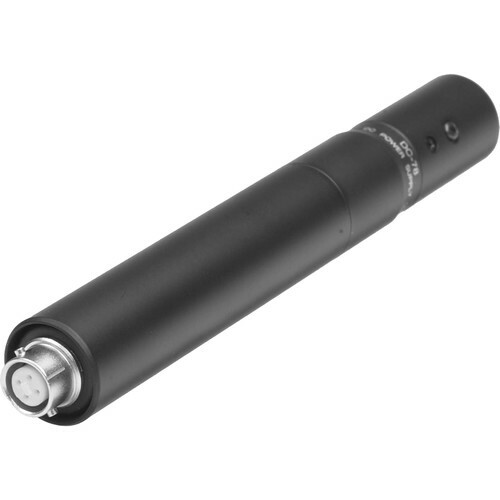 This is not the correct adapter for the Audio-Technica ATM350UCW clip-on instrument mic. You would require the Audio-Technica AT8539 Power Supply, B&amp;H # AUAT8539.